Fluidglyph exists as a portfolio of Frank Hamilton’s finished work, both commercial and fine art. The name fluidglyph is the union of the words fluid and glyph. The word ‘fluid’ speaks of the flowing of time from one moment to the next. I chose ‘glyph’ as a nod to the history of human aesthetics and communication. Combined they form a new word, which speaks of the fundamental nature of this site and my overall philosophy toward creating art. 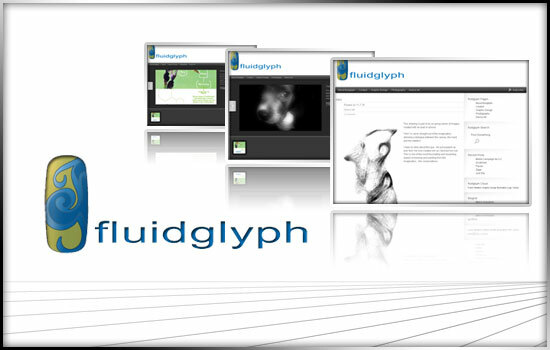 Fluidglyph is about one image flowing after the next, one concept flowing to and informing the next. The site is organized by the mediums I use to create. In Photography you will find traditional as well as digital images. Graphic Design contains commercial work in the form of Logos, ads, brochures, posters and illustrations. Digital Art displays work that was exclusively created on the iPhone, IPad or a tablet pc. Most of the images are complimented with brief text description were it was felt necessary.